Click here to download a PDF version of these tasting notes. John and Helen Cavedon’s vineyard has a gently sloping north easterly aspect, with red volcanic soils containing decaying basalt on the slope the vineyard rises to about 400 metres above sea level. John’s “dry-grown” vineyard is hand-pruned and hand tendered to achieve the best results. It relies mainly on natural rainfall which the underlying basalt retains and assists the vines throughout periods of warm weather, almost drought-proofing in the summer months. The vines run north to south with viticultural practices including vertical shoot positioning encouraging even ripening and providing important shade to prevent the impact of sunburn. Fruit was harvested in the cool of the night. The fruit was carefully handled into press then gently squeezed, resulting in a free-run cut of 450 litres per tonne. Only this heart and soul of the fruit was used. 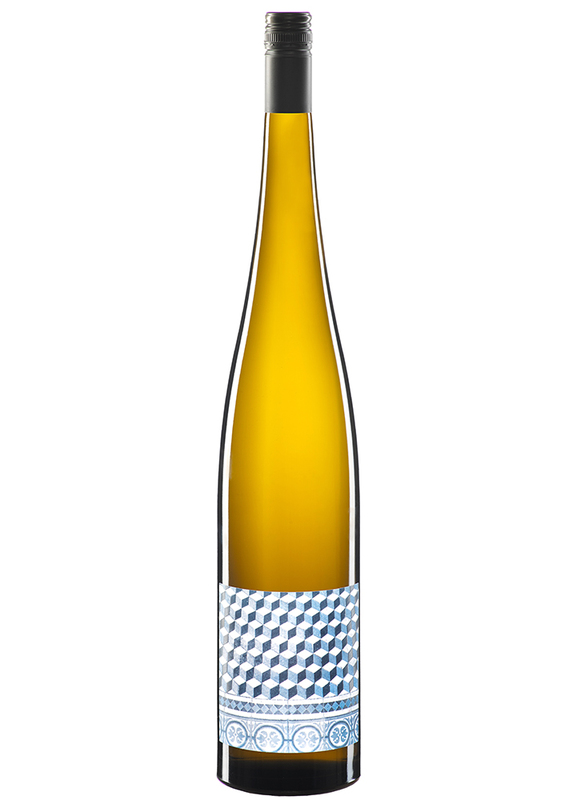 The pristine juice was chilled to preserve the vineyard expression and purity of fruit. Once the juice had settled, it is racked off solids and seeded with yeast. A cool, temperature controlled fermentation was carried out over 18 days at 10 – 12°C. The wine was left on ferment lees for 3 months with monthly stirring. Fined and filtered prior to bottling in magnums. Lime and tangerine with hints of fresh lemon and fennel flowers. A pure wine of great fruit intensity. Powerful varietal flavours of lime, orange citrus, and fresh rosemary are balanced by the refreshing natural acidity and crisp dry finish. Seared scallops; Thai beef salad or on it’s own with a cheeky fresh oyster. A pure, vineyard defined wine. Bottled only in magnums to age gracefully and to give reason to open on special occasions. Salute!